Yesterday I read about St. Thomas in my daily reflections on the Saints. Thinking about the Apostle Thomas I started reflecting on the things we believe, because we’ve seen them … and the things we don’t believe, because we haven’t seen them. I look out my apartment windows in the morning and see nice apartment buildings and well maintained gardens. 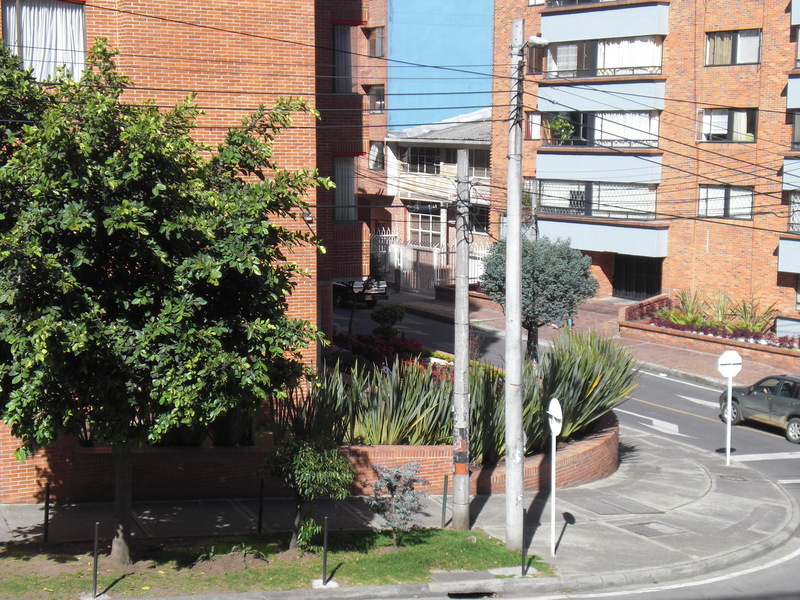 Living in Chapinero, a middle class neighborhood in Bogotá, it would be easy to think that living in Colombia isn’t much different from living in the U.S. I have a comfortable 2-bedroom apartment that I’ve done a reasonable job of furnishing and decorating. I live within walking distance of a variety of stores, including major grocers. Up the street is a military hospital. Down the block in any direction is a university. My office is only two blocks from my apartment. Most of my neighbors can afford to slip away from the city on a holiday weekend either to a family country home or to visit friends or relatives in the countryside. 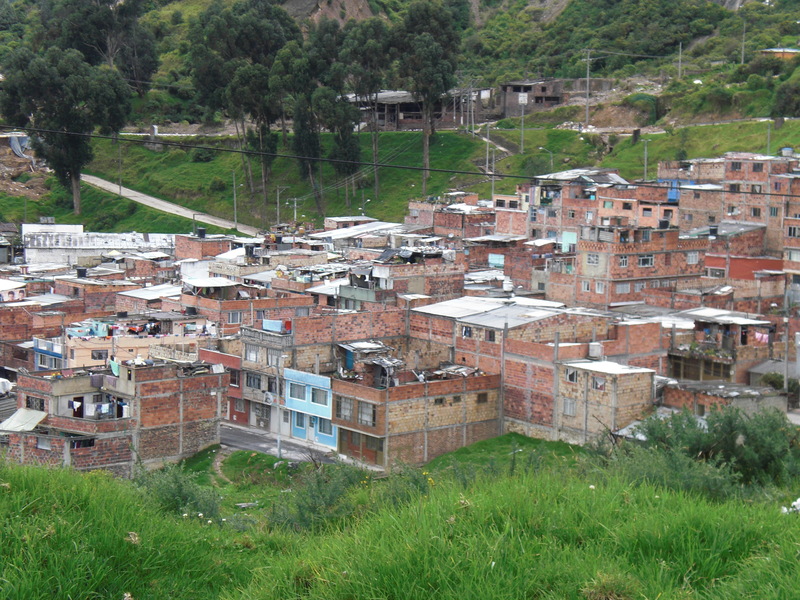 In short, it would be easy for me to spend my time here in Colombia never seeing those who live in poverty … never experiencing the face of poverty … never having a clear sense of the realities of Colombia. 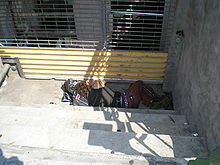 There are people who have a place they call home, but live in poor conditions and do the best they can to survive. Throughout the day in my neighborhood, women carrying baskets of avocados, bananas, mangoes, or flowers can be seen trying to make a sale. They shout out their presence announcing what they have in their baskets. While it can seem quaint and picturesque to see women carrying baskets of goods, the reality behind their basket is that they are typically unemployed and have used what little money they have to buy a basket of fruit, vegetables, or flowers in hopes of making back a little more than what they invested. In addition, carts drawn by men or horses can be seen in the streets throughout the day, usually collecting scrap metal or other discarded items that could be recycled somehow to produce a small profit. All live in poor neighborhoods around the city and are simply doing whatever they can to survive and care for their family. Most of the people around the neighborhood on a daily basis look like average middle class folk. They have jobs, homes, and families. But if you take a good look, you’ll discover that the U.S. and Colombian sense of middle class is significantly different. According to my friends, a typical salary is around $10,000 – $15,000 a year (or $850 – $1,250/month). You might say to yourself, “That sounds fine since it costs less to live in South America.” Yes, there is some truth to that statement, but it’s worth a closer inspection. Food, for example, in Colombia is comparable in price to food in the States. I’m reasonably frugal, and don’t eat much processed food because I have allergies and am happy to cook my own food, and yet my food and general household items expense is about $350 – $400 per month. An average apartment rents for $250 – $300 per month plus occasional building administration fees. Other monthly expenses include cable and internet ($65), water ($20), electricity ($35 – $60), propane ($10), and cell phone ($40). Oops! There goes that $850, before any savings or anything extra … and those figures are based on an individual (me), not a family of 3 or 4. While it’s nice to look out on a sunny morning and see the gardens in the neighborhood, it’s also good to have the opportunity to reflect on Thomas, and Christ’s words to him. Beautifully put – thanks for this post.